Other causes of male and female hair loss may be from heavy metal poisoning, autoimmunity, nutritional deficiencies, and trauma. Commerical shampoos that have SLS, Sodium Laurel Sulfate. This low-cost industrial de-greaser and pesticide may cause hair loss by attacking the follicle. Anti-Dandruff shampoos clog the hair follicles. Here is an interesting article on the side effects of using products that contain selenium sulfide. Margarine and hydrogenated oils block the tiny capillary that nourish the scalp. 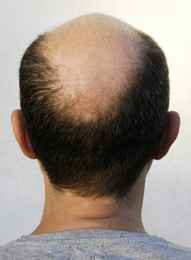 Supplements to Help Prevent Baldness. Herbs This is my favorite article on herbal supplements to help prevent hair loss. Diet as Natural Hair Loss Treatments. biotin. A good source is egg yolks. Best Natural Treatments for Hair Loss. Scalp massage This is a great way to increase circulation to the top region of the head. You can use your fingers or you can use a very, very soft brush. 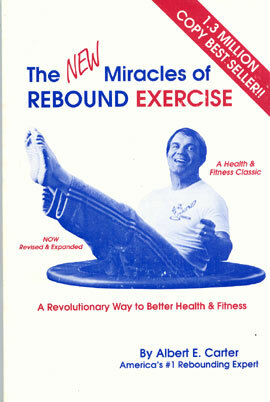 New Miracles of Rebound Exercise This is using a trampoline to exercise every single cell in your body, including your hair! Colon cleanse When you eliminate the build-up of toxins in your gut, you are able to absorb more nutrients from your small intestine and, in turn, your hair will be the recipient of these nutrients. Alternations of heat and cold will help stimulate circulation to the scalp. You can use and ice pack and a heat pack or towels soaked in both cold and hot water. Alternate every 3 minutes or so. Acupuncture can be very effective in improving circulation to the scalp. So indirectly, this modality may be helpful in increasing hair growth. These tips are written by Howard Richman and are offered for free as a courtesy. Best Natural Hair Loss Treatments for Hair Regrowth soundfeelings.